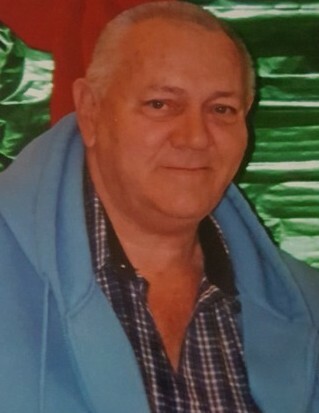 Coats, NC: Mr. Jesse Wayne Parrish, age 78, of 376 W. Stewart Street died Thursday, March 28, 2019 at his residence. Graveside Services will be 2:00 PM, Saturday, March 30, 2019 at Coats City Cemetery in Coats. Revs. J. T. Mercado and Rick Beasley will officiate. Mr. Parrish was born December 10, 1940 in Harnett County to the late Percy Edward and Edna Louise Snipes Parrish. He was preceded in death by his daughter, Maria Ann Parrish. Mr. Parrish was a retired mechanic and a member of the Sheriffs Association. Surviving includes his wife of 60 years, Shelby Jean McGee Parrish; daughter, Marcia P. and Thomas Wood of Coats; grandchildren, Tammy and David Bass of Coats, Bryan Wood of Coats, Justin and Jennifer Johnston of Dunn; great-grandchildren, Abby Smith, David Bass, Noah Bass, Colton Wood, Brentley Wood, Knowledge Sanders, Nate Sanders, Gavin Johnston; great-great-granddaughter, Ella Kramer; special family friend, David Norris, II of Four Oaks. The family will receive friends immediately following the graveside service and other times at the home. Flowers are welcomed; however, memorials may be made to St. Jude's Children's Hospital 501 St. Jude's Place Memphis, TN 38105.